The blade was made by the 2 Million Yen swordsmith Kanenobu. 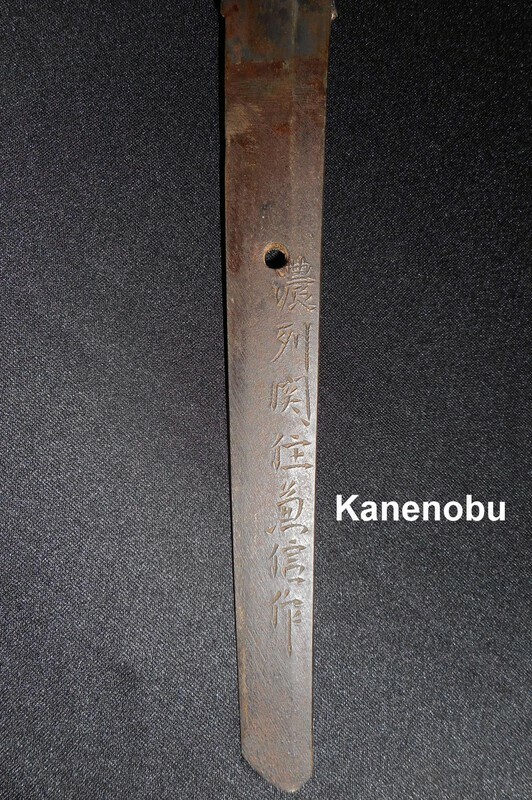 The blade has kanji on both sides--one side refers to the god of archery and war. 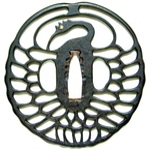 The other refers to a joining of Shinto and Buddhist theologies. Kasuga Daimyôjin (春日大明神): The numinous unit of the associated kami and buddhas/bodhisattvas of the Kasuga-Kôfukuji multiplex, Nara. Hachiman Daibosatsu (八幡大菩薩): The god of archery and war incorporating both elements from shintô and Buddhism. The blade measures 26 3/4" (67.9 cm) from blade tip to notch in the blade spine. This sword has a complex, wavy hamon. This Special Order Japanese WW2 Samurai Army Officer's sword is in excellent condition. There are a few small nicks in the blade edge--the biggest of which is 1/32". The blade has occasional carbon patina. The nicks and patina staining will all come out during polish. The hamon and boshi are perfectly healthy. 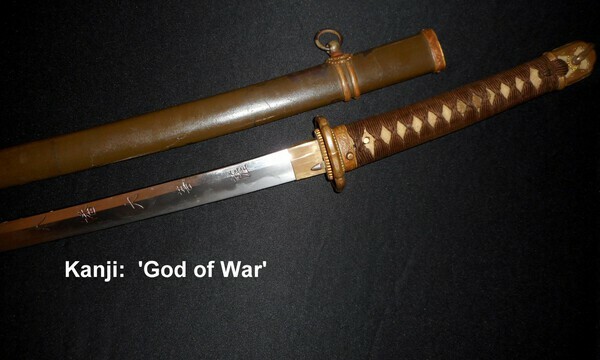 This sword is guaranteed against fatal flaws. 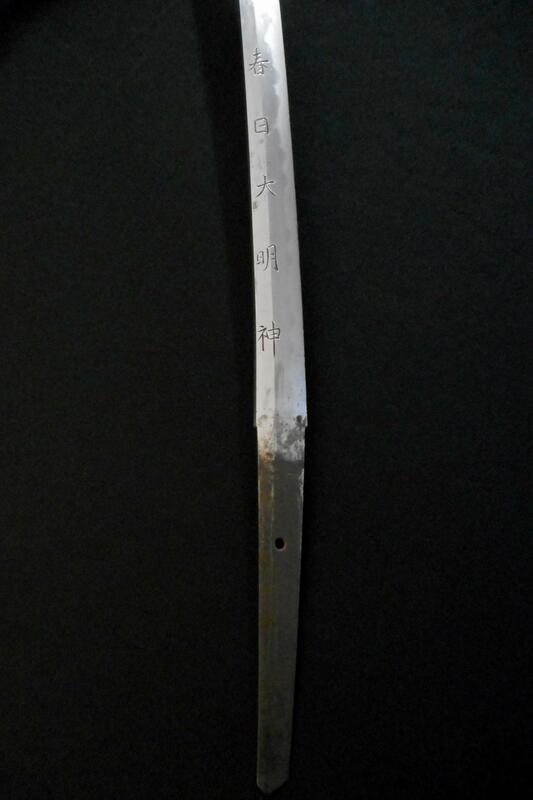 As mentioned, this sword will polish beautifully if desired--it is perfectly collectible and displays beautifully right now.